In the twenty-two years since his death, the memory of American rapper Tupac Shakur has never diminished throughout the music industry. In fact, more of his music has been released since he died, aged just 25, than when he was alive. However, some people have always maintained Tupac never died. Though many theories persist, a murder suspect has never been confirmed. Recently though, former Death Row Records CEO, Suge Knight, has reignited the fire behind the Tupac conspiracy, saying he knows who killed the rapper. 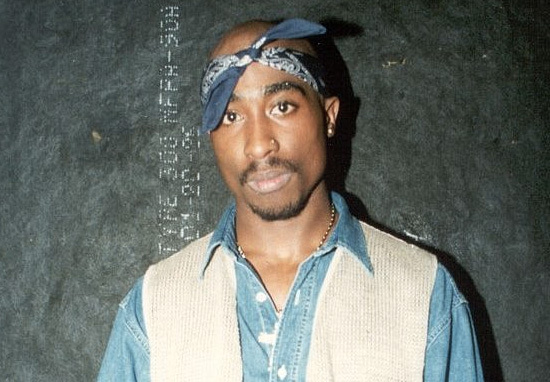 A man suspected of being involved in Tupac’s murder also came forward earlier this year to confess his connection to the killing. 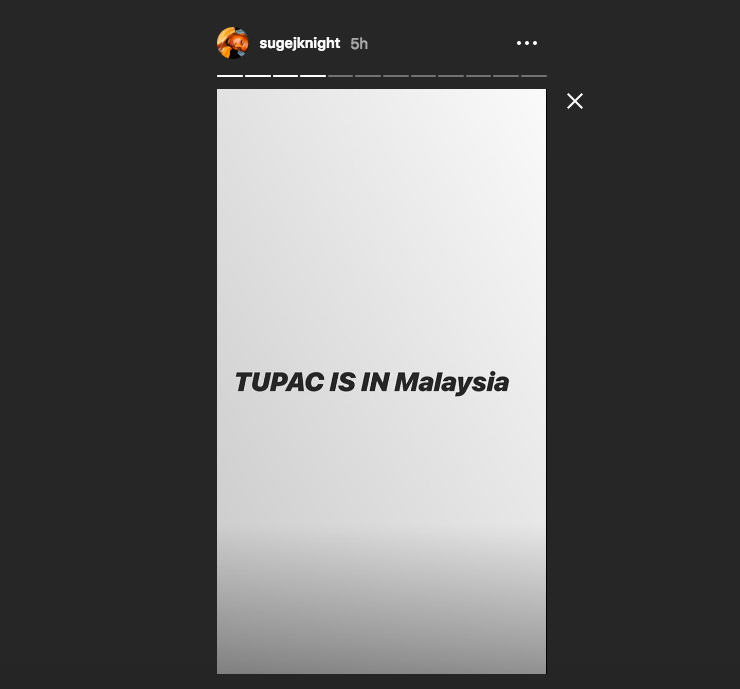 However, it seems some people are still hanging on to the theory Tupac is actually alive and well, including Suge Knight’s own son. Suge J. Knight took to Instagram yesterday (October 2), to post a series of messages and photos regarding the late rapper and his firm belief he’s still alive. He then posted a number of photos, including screenshots of conversations implying the illuminati are after him. In his most recent photo, posted five hours ago (at the time of writing), Suge said: ‘I’m safe and just know it was self defense. [sic]’ with the hashtag, #killuminati. Last month however, a British conspiracy theorist claimed to be part of the team who helped Tupac fake his own death, and knows where the rapper is actually living – in Cuba. Michael Nice has said he was part of a team of people who helped Tupac escape Las Vegas and smuggled him to Cuba. Nice believes the rapper is living on an island. Why you think nobody been arrested if they said they the one that killed Tupac? Because Tupac is not dead. If he was dead, they’d be arresting those dudes for murder. Nice claims to have been working for a far-left political party in the 1990s, and heard a hit had been put out on Tupac, so Nice and his team were deployed to get him out of the country. He added, although Tupac did get shot, he was only injured, and they were able to help the rapper escape the country.